I have been working on this thread for some years now on AW. It haven't attracted much developers lately though, so.. here's a desperate try to attract some devs.. by moving it to Amigans.net where more developers tend to hang out. TuneNet is one great piece of software, and it supports quite a lot of formats already, but there are still a lot of cool formats out there, that ain't supported. I've got resouces and sources for a couple of cool formats, but I lack the skills to make plugins out of them. I'll use this thread to try to encourage someone to make TuneNet plugins for these formats, based on my research. *** When clicking the download tunes links, replace http:// with ftp:// Amigaworld doesn't seem to like ftp links. NEW! There's Web-Interface for ModLand now, finding music in exotic formats has never been easier! And lastly, here's a Torrent Tracker with lots of video game music streams (GC/Wii/Xbox/Etc). UADE 2 - The UNIX Amiga Delitracker emulator emulates the soundchips of the amiga and it uses the original 68k replayers directly and produces a very accurate sound. It supports all formats that deliplayer supports, a LOT of formats in other words. There is an old version of UADE ported to os4 available on os4depot, basing your plugin on this one is not recommended. Also, currently UADE is being rewritten into a link library, so waiting for that might be a good idea. "I'm working towards creating a new version of uade that is more easily embedded into other applications. That is, I'm making a library with a relatively simple interface." UPDATE Deltafire made a cross platform commandline player for Sam Coupe music! Download the AOS4 version here! Example MP3 of how this soundchip sounds (Monkey Island theme). sidplay-residfp the best most accurate SID emulator. The current TuneNet SID plugin is based on the old and crappy PlaySID. This one delivers way better sound. UPDATE: I ported the player+libs to AmigaOS4. Get them here! Find the sidplay-residfp homepage here! KLYSTrack a new multiplatform AHX inspired chip tracker, similiar to Hively Tracker but with more features! MDXamp/inMDX supports two formats that we don't have support for; MDC and MYM. MDC is a musicformat from the Sharp X68000. MYM is actually YM music converted to be played on the MSX, quite odd. But there was an open source player, so what the heck. lazyUSF a player for USF/MiniUSF, Nintendo64 music. Example music is included in the source archive. I wouldn't base a neo geo pocket plugin on these sources just yet as i suspect it won't take off and the vgm guys have a logged neo geo pocket format done. I am getting the sources of VGMPlay that is the 'official' VGM player so if you want to make a neo geo pocket plugin, base it on VGMPlay instead. VGM is a container for logged YM based videogame music, lately they have started to log more YM and SEGA-PCM based consoles/machines by adding logging functions to emulators. Currently all roms that use YM/Sega PCM for audio supported by MAME, MESS, openMSX and NeoPop can be ripped and played using VGMPlay. The current VGM plugin we have (based on libGME) only supports the standard/old VGM formats. VGMPlay.cpp needs to be changed. "rf5c164.h" should actually be "scd_pcm.h". I tried to compile it under Ubuntu, more changes are required to make it run nicely under AmigaOS4. BMS / BME / EMS / PMS a mysterious japanese player for these formats, i think the music was used in some adult games. UPDATE: Found a bunch of BMS tunes! BMS / BME-compatible software is for one game, EMS is for Angelic Pianizm, PMS description file immediately for Yu Rin Po?I found wife. ????????PMS????????? Doremimania can not play for PMS. Where to get music? Beats me! Roland MT-32 An emulator of the named chip. Download Sources. Find a webradio with music in this format here. MUNT A multi-platform software synthesiser emulating pre-GM MIDI devices such as the MT-32 and CM-32L. Thanks to R. Belmont, you can now play music directly from arcade ROMS with a little program called M1. It's based on MAME, and is extremely simple to use, especially if you also get the separate frontend BridgeM1. You can use it just as a player, or you can record the output to WAV files so that you can make your own music CDs. While you're getting BridgeM1, make sure to also get the LIST files. These are song lists made by a very dedicated group of people at e2j.net, and make the games much easier to navigate through. An example of the frontend in use with lists is here to the right. If a list doesn't yet exist for your favorite game, you can also make your own; just refer to the documentation and the other lists as a guide. Ofcourse BridgeM1 is not portable to os4, but the list files could be used by a tunenet plugin. If you already use MAME, just point M1 to your MAME ROM directory, as over 90% of the currently supported games are the same sets that are supported in MAME. M1 also supports some Pinball ROMS, and there are also few games in M1 that are not currently supported in MAME, which you will have to get separately. To call it a fun toy would be a misrepresentation. It's a work of art, and I, for one, am glad that RB was inspired to create such a project. VGMStream This is vgmstream, a library for playing streamed audio from video games. This is the successor of in_cube! More multiplatform friendly code, etc. It's made by the same author as in_cube, so I guess it will support all formats that in_cube supports, eventually. It's said to be VERY portable contrary to in_cube. Source! It currently comes with source for Winamp, Audacious, and foobar2000 plugins, and a command line decoder that outputs PCM .wav. You can find the latest source code at the SourceForge.net project. Check out the SVN version, the archives on sourceforge are old. Some tunes to test with! I have uploaded more music to modland, so they will be available there soon. 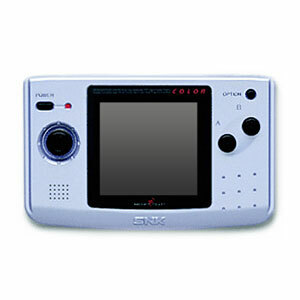 The WonderSwan was later replaced by the WonderSwan Color. Although some WonderSwan Color games are compatible with the original WonderSwan, many are designed exclusively for the WonderSwan Color and show a message such as "This cartridge is for WonderSwan Color only" when run on the original WonderSwan. The WonderSwan was available in ten case colors, playable both vertically and horizontally, and features a fairly large library of games. 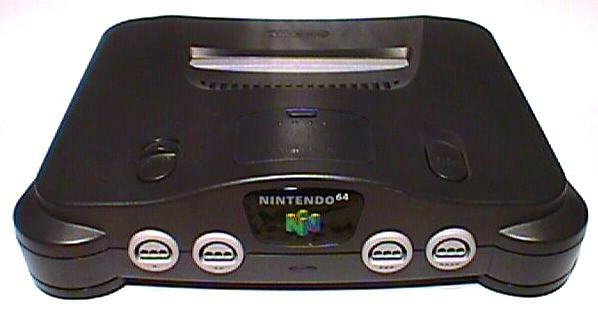 As it was a console designed essentially for the Japanese market, most of the games are in Japanese, with only a few featuring English text. Audio: 4-channel digital stereo sound. Built-in mono speaker or optional headphones with stereo adapter. Specs here, in japanese, but some things can be made out from it. Update: Here is my babel fish translated version of the WSR format specs. wsr plugin for winamp - the fact that the tune of WonderSwan is reproduced purpose is Winamp plugin. The extension wsr the file is performance possible. it is about, starting order of 0x10, but because CPU starts processing from here, putting in place Jmp order, please fly favorite to address. 0x16 - You do not use 0x1f, but please copy from ROM. When DeveloperID and CartID do perhaps, because perhaps is useful. - CPU (V30MZ) as for execution procedure like below feeling. 2. As CS=0xFFFF and IP=0x0000 start of execution -> in other words, in memory from the position of 0xFFFF0 start of execution. The place, this above-mentioned starting order. As for setting and the like of the interruption, please go during early processing. The interruption vector is on RAM. When it is kss and hes etc, when early processing is done, Ret it does, but in case of this wsr Ret please do not do. When early processing ending is gone, please point even with the infinite loop. Because the above-mentioned explanation is unkind, as for details please look at the source. Perhaps, if the behavior of WonderSwan understands, you think that you understand whether what should have been done. When starting becoming AX= tune number, with just behavior as wsr player, concerning other thing therefore just it is moving normally, is. I think i just found out something important! have .m3u files included, with gamename, subsong name and offsets. what happened in your player might have been that it didn't know what and where to start playing so it choked? have a look at this, and then check the added info about the format in post #1.
here's some info from one of the m3u files. Maybe this can help getting the wonderswan (wsr) player working. - Support for WSR(WonderSwan sound rip format) playback. NEZPlug supports GBR and we don't have support for that, so it's back in the list! NezPlug Sources! Download Music! NEZPlug++ supports SGC and we don't have support for that, i guess it also supports GBR as it's an improved version of NEZPlug, so making a plugin out of the original NEZPlug might be a bad idea. Use NEZPlug++ instead for both GBR and SGC. So what's special about GBR and SGC? Unlige VGM's which is a 'recorded' format these are real rips. The original data is snatched right out of the ROM's, just like in Amiga music rips. GBR is gameboy music and SGC is Sega music. Direct link to the Sources! MilkyTracker is now opensourced! This can be used to make a proper XM plugin, contrary to the crappy modplug based one we have now! The milky player core is nicely separated from the tracker, and it imports some other formats as well. Get the source! Yea, it's written in Java :( but it's the only thing we've got that ain't ASM. The ASM sources of the tracker can be found here. Aplayer a beos player written in cpp. It's not as actively maintained as XMP, and it mostly supports the same formats as XMP, so I decided to list only those that XMP or any other plugin does not support, as they are the most interesting. It also supports some module packers, not very interesting as you don't store mods in these formats. If you rip mods and find mods that are packed with these the ripper depacks them. AAC AAC+ (AACPlus) play AAC+ music. faad2 - A command line frontend to the faad library. Can be used to convert AAC files to .wav or raw PCM data. faad.library - The OS4 port of the AAC decoder library (libfaad). Provided as a shared library. ibmp4ff.a - OS4 port of libmp4ff. A library for reading mp4 files. Curty has made a plugin from this library already, but it only play m4a files, and that is not the same as AAC+ i guess? From the readme of tuneaac_plug: "Uses Faad.Library to decode ACC m4a files. (Handy for those who would like to play songs from their IPod's)"
faad2 decoder - another decoder. libfaad - a static linklib. also known as AC-3. I guess this is the most common format used in DIVX videos. SHN Shorten® (.shn) is an audio compression scheme that is used to compress audio (.wav) files losslessly. This means that after you decompress a Shorten file, everything that was in the original .wav is there. This is unlike MP3, in which the compression step throws away information that can never be recovered. TiMidity++ is a converter that converts some MIDI files to WAV. they are all a sort of MIDI sequence format. These formats are produced from some sequencers released from Come-On Music's products, Recomposer series ( These are only famous in Japan). Since these format is very popular in Japan, many MIDI sequence data based on these formats instead of Standard MIDI file (SMF) are existing. There are even some free software sequencers those are capable handle these formats. TiMidity uses Gravis Ultrasound-compatible patch files or Soundfonts to generate digital audio data from MIDI files. When Pixel made the fantastic game we know as "Cave Story" he really put some serious effort into it. He made a new music app called, just to compose the music for this game. These songs are known as Organya songs. FINALLY, a new promising player for org music! This one seems accurate and complete. It comes as a lib and a org > pcm decoder. It's called liborganya. UPDATE I ported libOrganya to AmigaOS4. UPDATE Kometbomb and me wrote a commandline player based on liborganya! DTS is a series of multichannel audio technologies owned by DTS, Inc. (NASDAQ: DTSI, formerly known as Digital Theater Systems, Inc.), a company specialising in digital surround sound formats used for both commercial/theatrical and consumer grade applications. NeoGeo (.mus) a tracker for NeoGeo music has been released, complete with sources that could be used to make a player for neo geo (.mus) files. Download all available plugins here! Update 1: Organya Player released for AmigaOS4! Update 2: VGMStream Player released for AmigaOS4! Update 3: Resources added for NeoGeo (.mus) files! Update 5: removed orgestrate as it is now obsolete. liborganya does the job better. Update 6: Cleaned up the info on Sam Coupe, as a player is to be released very soon. Update 7: A commandline player for Sam Coupe music is made and released for AOS4! 2SF (NintendoDS) Download Music! 2SF Plugin Original Sources. 8SVX (Amiga IFF 8bit) SNDFile Plugin! Datatypes Plugin! A2M (AdLib Tracker 2 by subz3ro) TuneAdPlug Plugin! AHX (Abyss Highest eXperience) Hively Tracker Plugin! Download music! AMR Plays audio encoded with the 3GPP AMR speech codec. AMR Plugin! APE Monkey's Audio lossless codec APE Plugin! AY (Amstrad CPC/Spectrum ZX/Atari ST) GME Plugin! Download music here or here or here! BAM (Bob's Adlib Music Format by Bob) TuneAdPlug Plugin! BGM (MSX Home Computer) KSS Plugin! BP (BP Soundmon) (BP) Soundmon Plugin Download music here and here! CFF (BoomTracker 4.0 by CUD) TuneAdPlug Plugin! CMF (Creative Music File Format by Creative Technology) TuneAdPlug Plugin! CYM YMAmp Plugin! Origninal Sources. D00 (EdLib by Vibrants) TuneAdPlug Plugin! DFM (Digital-FM by R.Verhaag) TuneAdPlug Plugin! DRO (DOSBox Raw OPL Format) TuneAdPlug Plugin! DSM (DSIK internal format) ModPlug Plugin! DTM (DeFy Adlib Tracker by DeFy) TuneAdPlug Plugin! FC (Future Composer) Future Composer Plugin! Download music here or here or here. FLAC (Free Lossless Audio Codec) FLAC Plugin! SNDFile Plugin! Gamecube Gamecube Plugin! Download music! GBS (Gameboy/Gameboy Color) GME Plugin! GDM (General DigiMusic) Download Music! TuneXMPPlugin MikMod Plugin! GSF (Gameboy Advance) GSF Plugin! Download music here! GYM YMAmp Plugin! Origninal Sources. GYM (Sega Megadrive/Genesis) GME Plugin! Download music! HES (PC Engine/TurboGrafx-16) GME Plugin! Download music! Download music! HSP (HSC Packed by Number Six / Aegis Corp) TuneAdPlug Plugin! HTK (HMM Tool Kit) SNDFile Plugin! HVL (Hivelytracker by IRIS and Up Rough) Hively Tracker Plugin! Download music! IFF (Amiga IFF 8bit) SNDFile Plugin! Datatypes Plugin! IFF (Amiga IFF 16bit) Datatypes Plugin! KSM (Ken Silverman's Adlib Music Format by Ken Silverman) TuneAdPlug Plugin! KSS (MSX Home Computer) GME Plugin! Download music! KSS Plugin! LAA (LucasArts AdLib Audio File Format by LucasArts) TuneAdPlug Plugin! LDS (LOUDNESS Music Format by Andras Molnar) TuneAdPlug Plugin! M (Ultima 6 Music Format by Origin) TuneAdPlug Plugin! MAD (Mlat Adlib Tracker) TuneAdPlug Plugin! MAT4 (GNU Octave 2.0) SNDFile Plugin! MAT5 (GNU Octave 2.1) SNDFile Plugin! MBM (MSX Home Computer, Moonblaster tunes) KSS Plugin! Download music! MDX (Sharp X68000) MDX Plugin! MGS (MSX Home Computer) KSS Plugin! MID (MIDI Audio File Format) TuneAdPlug Plugin! MIDI Midi plugin based on libTimidity! MKJ (MKJamz by M K Productions *(preliminary)*) TuneAdPlug Plugin! MOD (Not 4ch) ModPlug Plugin! MPC (MusePack, Lossless audio) MPC Plugin! MPK (MSX Home Computer) KSS Plugin! MSC (AdLib MSCplay) TuneAdPlug Plugin! MTK (MPU-401 Trakker by SuBZeR0) TuneAdPlug Plugin! MTP Apple IIgs SoundSmith and MegaTracker songs. Megatracker Plugin! TuneXMPPlugin Download music! NSF (Nintendo 8-bit/Famicom) GME Plugin! Download music! NTG Noisetracker GS 1.x modules Megatracker Plugin! Download music! OGG (Ogg Vorbis, Lossy audio) OGG Vorbis plugin! OPX (MSX Home Computer) KSS Plugin! PAC SBStudio PAC plugin for TuneNet SBStudio PAC Plugin! PAF Paris Audio File SNDFile Plugin! PSF/MiniPSF (Playstation music) PSF Plugin! Download music here and here! PSF2 (Playstation 2 music) PSF2 Plugin! Download music here! PTK Protrekkr music. Protrekkr Plugin! PTM (Protracker 3.6) ModPlug Plugin! PVF (Portable Voice Format) SNDFile Plugin! QSF (Capcom Q-Sound (Arcade games) QSF Plugin! Download music here! RA (Real Audio) Real Audio Plugin! RAW (RdosPlay RAW file format by RDOS) TuneAdPlug Plugin! RIX (Softstar RIX OPL Music Format) TuneAdPlug Plugin! ROL (AdLib Visual Composer by AdLib Inc) TuneAdPlug Plugin! S3M-non-synthetic (Scream Tracker) ModPlug Plugin! S98 (NEC PC-98) S98 Plugin! Download music! SA2 (Surprise! Adlib Tracker 2 by Surprise! Productions TuneAdPlug Plugin! SAP (Atari XL/XE) GME Plugin! Download music! SAT (Surprise! Adlib Tracker by Surprise! Productions) TuneAdPlug Plugin! SCI (Sierra's AdLib Audio File Format by Sierra On-Line Inc) TuneAdPlug Plugin! SD2 (Sound Designer II) SNDFile Plugin! SID (Old sidplay library!) [/url]SID Plugin! Download music! SMS GME Plugin! (Sega Master System) Download music! SNDH (Atari ST) SC68 plugin! Download music! SNG (SNGPlay by BUGSY of OBSESSION) TuneAdPlug Plugin! SNG (Faust Music Creator by FAUST) TuneAdPlug Plugin! SNG (Adlib Tracker 1.0 by TJ) TuneAdPlug Plugin! SSF (Sega Saturn) SSF Plugin! Download music! SPC GME Plugin! (Super Nintendo) Download music! SPU (Playstation) Plugin! [/url]PSF2/SPU Plugin! Download music! STX (Scream Tracker Music Interface Kit) .MikMod Plugin! SVX (Amiga IFF) SNDFile Plugin! Datatypes Plugin! TFC (ZX Spectrum (TurboSound FM device - 2xYM2203 chips)) Turbosound (TFM/TFC) Plugin! TFC (Sega Megadrive/Genesis (TurboSound FM device - 2xYM2203 chips)) Turbosound (TFM/TFC) Plugin! TFC (Neo Geo (TurboSound FM device - 2xYM2203 chips)) Turbosound (TFM/TFC) Plugin! TFC (NEC PC-98 (TurboSound FM device - 2xYM2203 chips) Turbosound (TFM/TFC) Plugin! TFM (ZX Spectrum (TurboSound FM device - 2xYM2203 chips)) Turbosound (TFM/TFC) Plugin! TFM (Sega Megadrive/Genesis (TurboSound FM device - 2xYM2203 chips)) Turbosound (TFM/TFC) Plugin! TFM (Neo Geo (TurboSound FM device - 2xYM2203 chips)) Turbosound (TFM/TFC) Plugin! TFM (NEC PC-98 (TurboSound FM device - 2xYM2203 chips) Turbosound (TFM/TFC) Plugin! TFMX (alpha version with some issues) TFMX Plugin! Download music! TTA (True Audio, Lossless audio) TTA Plugin! UNI (MikMod) Download Music! .MikMod Plugin! VGM (BBC Micro) GME Plugin! VGM (Colecovision) GME Plugin! Download music! VGM (Sega 32X) GME Plugin! Download music! VGM (Sega Game Gear) GME Plugin! Download music! VGM (Sega Master System) GME Plugin! Download music! VGM (Sega Mega CD) GME Plugin! Download music! VGM (Sega Megadrive) GME Plugin! Download music! VGM (Sega SG-1000) GME Plugin! Download music! VGZ (Zip support for vgm files) GME Plugin! Download music! VOC (Creative) SNDFile Plugin! Datatypes Plugin! VTX (Vortex Tracker, YM chip format) VTX Plugin! W64 (Sound forge) SNDFile Plugin! WAV (Sphere Nist) SNDFile Plugin! WAV (RIFF Wave) RIFF Wave Plugin! WAV XBOX ADPCM audio. Datatypes Plugin! RIFF/Wave Plugin! WMA (Windows Media Audio) WMA Plugin! XAD (eXotic ADlib Format by Riven the Mage) TuneAdPlug Plugin! XI (Fasttracker 2 Instrument) SNDFile Plugin! Download Samples! XMS (XMS-Tracker by MaDoKaN/E.S.G) TuneAdPlug Plugin! XSM (eXtra Simple Music by Davey W Taylor) TuneAdPlug Plugin! YM (Amstrad CPC/Spectrum ZX/Atari ST) YM Plugin! Download music! I hope someone can manage to get his hand on Symphonie's sources (modules created with it were incredible even if they required a very powerful Amiga). I hope you have some luck here, I wish I could code so I can help you. i heard java is very similiar to C++, so for someone with knowledge of both i guess the current java replayer could be usefull. Thanks, spotUP, for your ceaseless work in making sure all available formats are there for TuneNet. while I'm here, may I humbly ask for a "library" drawer if you happen to have some time to draw it? That's where I put all my music, video, ebooks in. Done - will be in the next release! Please let me finish this task first. same icon with different text overlay?